Cartoon pizza. This may only be a drawn picture of a pizza, but it still looks kind of tasty. 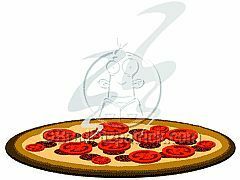 LOL.. Wallpaper and background images in the pizza club tagged: pepperoni pizza drawing drawn cartoon pizza picture smelly tasty good yummy. This may only be a drawn picture of a pizza, but it still looks kind of tasty. LOL.